Home - Jiangsu Acrel Electrical Manufacturing Co., Ltd.
Jiangsu Acrel Electrical Manufacturing Co.,LTD [Stock Code:300286.SZ ] is one of the few leading companies in China who provides various systematic of power monitoring ,power control,energy management and electrical safety for smart grid users. Since June2003,we have always been focused on the research,production and sales of intelligent electric meters. We concentrate on providing products and services to help customers improve electricity and safety.So far we had the following comprehensive solutions for different applications:35(10)/0.4KV substation automation system,building mounted photovoltaic(BMPV)system, power quality management system,energy management system,electrical fire monitoring system,IT distribution system for medical locations,precise distribution management system,power supply monitoring system for fire protection equipment,fire emergency lighting and evacuate indicating system,fire resistant doorsets monitoring system,smart lighting control system,Lithium battery management system and electric vehicle charging system. 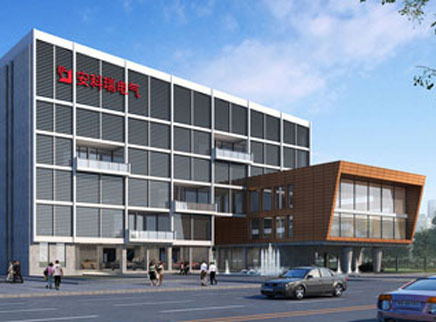 Jiangsu Acrel Electrical ManufacturingCo.,LTD is a provider of energy data services for enterprise users to consume energy (electricity, water, gas, or other energy). In combination with the characteristics of enterprise users' energy supply and distribution system, an energy metering system is designed for each user, and a fine and reasonable energy monitoring system is set up. The construction and operation system in the energy supply, reliable reasonable use of energy and electricity safety and other aspects of the user's attention to solve pain points, visual management to help companies achieve energy use data, provide scientific data to support the introduction of the implementation of energy saving measures for enterprises in the future. The Power Sensor can realize automatic detection and automatic control, and can also convert the measured electrical parameters into DC current, DC voltage and isolate analog signals or digital signals. Power monitoring and protection products provide the basic platform for the real-time data acquisition and remote control of the power distribution system, which can be used to detect and control the equipment to form any complex monitoring system. Through remote sensing and remote control, the electric energy management device can allocate the load reasonably, realize the optimized operation, effectively save the electric energy, and record the peak and valley power consumption, thus providing the necessary conditions for energy management. Through the system integration of structured cabling system and computer network technology, the various separation equipment, function and information integrated into interrelated, unified and coordinated system, centralized, efficient and convenient management.